The secret of Big K.R.I.T. 's success seems to be in his name. Unlike the 3,005 other emcees who've put a dollar sign ($) in their name, K.R.I.T. is all about going against the fray. His name, Big K.R.I.T., is more than what it appears to be. There's royalty and what seems to be a personal mantra or mission buried in the acronym. As a supremely talented emcee with a contagious Southern accessibility, and as a top-notch producer, there's more to him than just a constant praising of dead presidents. It's what makes his mixtapes so damn good. One of XXL's former freshmen, Big K.R.I.T. carries a torch once held by UGK or Outkast into new beginnings. 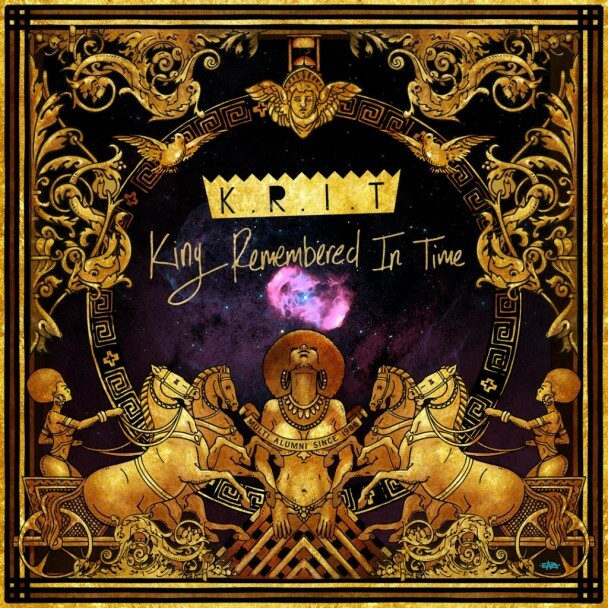 As the third of bigger mixtapes (he had released some earlier, not as digital downloads), King Remembered In Time continues to cement Big's legacy. Recruiting folk like Smoke DZA, Bun B, BJ The Chicago Kid, Wiz Khalifa, and even Trinidad Jame$ (who surprises), K.R.I.T. reveals the amount of attention his name now draws. Like his other affairs, King Remembered In Time is a sweet mix of emotional forays and pulsing examples of Southern swagger. It shines on the laurels of "Shine On", "King Without A Crown", "REM", "Meditate", "My Trunk", and perhaps the best track on the tape, "Multi Till The Sun Die". Download it below by clicking on the cover art. BJ the Chicago Kid uncovers "The Lost Files: Cuffing Season"